Big data education has become big business. With projected massive talent gaps in the field of analytics, many professionals with and without quantitative backgrounds are choosing to complete graduate-level training. In response to this demand, universities worldwide are opening the doors to new programs. According to The New York Times, some dozens of academically-focused graduate programs have been developed quickly in response to both “excitement” and the prospect of six-figure salaries for program graduates. This list is not an exhaustive compilation of all accredited and non-accredited graduate programs for aspiring data scientists in the US, but it’s a compilation of some of the dozens of options available for prospective students. Entrance requirements can vary significantly between programs. However, some effort has been made to denote whether programs listed accept students without a strong background in mathematics, programming, or statistics. Prospective students are always encouraged to contact an admissions representative at a program of interest directly for more information on entrance requirements. Please note that programs are not ranked according to perceived prestige. Additionally, representatives or affiliates of programs not listed in this compilation are encouraged to share their program details and links in the comments. UNC’s STOR program has long been one of the most prestigious players in the statistics space, and remains a training ground for tomorrow’s data scientists. Students interested in research may find rich opportunities to collaborate in projects related to genomics, biological modeling, financial mathematics, stochastic processes, operations and much more. Admission requirements include a strong background in mathematical, computer and/or decision sciences. A “summer boot camp” program is offered for both entering Master’s and Doctoral-level students, to provide solid groundwork in analysis and linear algebra. UW’s Professional & Continuing Education options include a new Data Science Certificate, which aims to equip students with the “fundamental tools, techniques, and practical experience” to wrangle very large volumes of data. Coursework includes a focus on applied statistics, machine learning, natural language processing, and more. Additional related graduate programs in Big Data Technologies, Cloud Management, Data Visualization, Machine Learning, and Statistical Analysis are also offered. According to the program website, individuals currently working in quantitative roles are encouraged to apply. Example backgrounds listed include database administrators, software engineers, data analysts, statisticians, and researchers. Residency Required: No; online coursework possible. On-site classes in Seattle and Bellevue, WA. UCI offers a number of information technology focused programs through online coursework, including a certificate of Data Science. Students are required to take a minimum of 15 graduate units, 9 of which can consist of specialty focuses in R Programming, Data Preparation, Java, Object-Oriented Design, and other topics. The program also appears to be a solid choice for individuals who lack a traditionally analytical background for data scientists. The website states it’s “intended” for “professionals in a “wide variety” of job titles and industries. John Hopkin’s University and SwiftKey offer a course track in Data Science via Coursera, one of the predominant players in the massive open online courses (MOOC) space. Students will gain experience in R Programming, Data Cleaning, Analysis, Statistical Inference, and much more. With a total cost of just $470 for all ten of the courses listed, it’s significantly cheaper than many other options available to aspiring analytics professionals. While some Universities may choose to grant credit for Coursera Certifications, it’s recommended that prospective students inquire directly with organizations about credit transferability and corporate reimbursement opportunities before enrolling. The program FAQ specify that it’s recommended for students to have some programming experience in “any language,” as well as a “working knowledge” of algebra, though Calculus and Linear Algebra are not required for successful completion of the program. 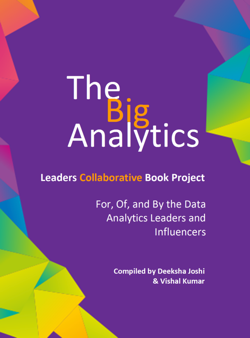 New York University’s Center for Data Science represents a “university-wide initiative” to furnish skilled analytics researchers and professionals. Combining academics from some 18 centers across NYU’s campus, the programs offered range greatly in specialization. In addition to a Master’s of Science in Data Science, students can opt to dive deep into programs focused on business analytics, scientific computing, digital marketing, and other specialties. Tracks: 9 Master’s, 4 PhDs, and 2 Graduate Certificate options. Additionally, data science coursework may be taken as electives by students in some 19 related graduate programs. Lipscomb University in Nashville, TN offers graduate coursework for aspiring and current data scientists, geared towards students currently working in professional capacities. With 30 required credits and a practicum research project required for graduation, students will gain hands-on experience in information structures, statistical analysis and decision modeling, research methods, data mining, and more. Stated requirements for admission, according to the program website, include a graduate degree or a bachelor’s degree in relevant fields of study. In some cases, work experience can be considered in lieu of GRE scores. Individuals with a strong interest in business applications of analytics may be drawn to ASU’s coursework. The 9-month program includes coursework in decision modeling, data modeling, and the application of regression models. Capstone projects for graduates are completed in professional settings. Students are able to complete practicum projects at large corporations located near the ASU campus. ASU’s website specifies that recent graduates of Bachelor’s-level programs in quantitative disciplines are encouraged to apply, as well as any other candidates with “demonstrated proficiency” in statistics, programming and calculus. There are two separate options available for Master’s of Data Science students at IU-B. Graduates can complete either a technical or an applied track, known as the “decision maker” path, which includes a special focus on managing analytical projects and strategy. Technical coursework includes a focus on algorithms, security, and cloud topics. Admission requirements include undergraduate coursework in informatics, computer science, information science, natural sciences, social sciences, or communications. However, IUB’s website also states that candidates who “demonstrate the competency necessary” will also be considered. SMU’s Master’s of Data Science program has a particular focus on project-based learning, in which students are encouraged to draw from a baseline understanding of computer science, data science, and other topics to solve real-world problems and situations. Admission requirements are largely related to the candidate’s “ability to succeed in the program,” which the admissions committee will determine based on a combination of undergraduate grades, graduate test scores, and professional work experience. Residency Required: Not exclusively. 30 credits may be completed online, and 1 credit is earned on-site in Dallas, TX. UCB’s new Master’s of Information and Data Science is designed to prepare professionals for successful professional entry into analytics careers. The online coursework has a focus on guiding students to successfully solve real-world scenarios, with a focus on providing skills in current tools and methodologies. UCB has competitive requirements for graduate admission, and the Information and Data Science track is no exception. Applicants are recommended to have an undergraduate GPA of at least 3.0, and either high scores on the quantitative section of the GRE or professional experience. Fundamental groundwork is also required, though applicants may take preparatory courses through UCB. Additional stated requirements relate to the ability to program and communicate effectively. 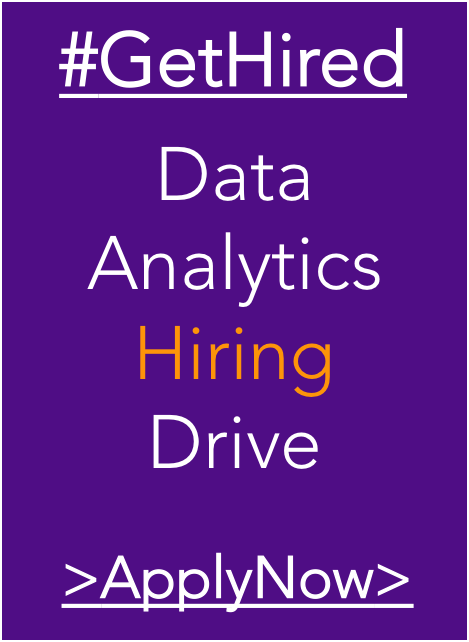 Are you a graduate or affiliate of any listed or unlisted data science or analytics program? Please share your experience in the comments!